Central Music is made up of a team of people from one church, in many locations. We decided several years ago that we wanted to be a church that truly leans into worship. The heart of Central Music is to bring our people and others into the presence of God through music. We do this through Nights of Worship, our Weekend Services, and writing/recording original worship songs. 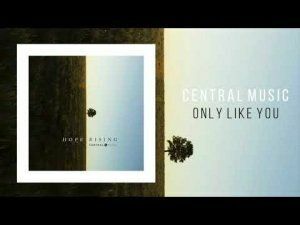 Central Music is the worship team from Central Church in Arizona which is a multi-campus church across 5 different communities within Arizona. This is their first album released since they signed to the Dream Worship label, but they have previously released a full album which included many worship favourites and a Christmas EP. 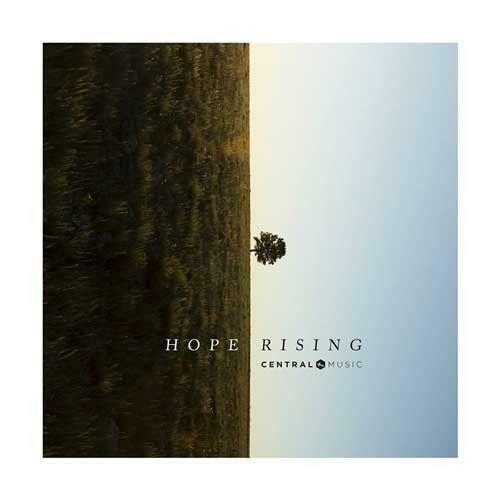 "Hope Rising" is an all original album with worship written and recorded by the church worship teams. The album opens with "Only Like You" which is a reminder that it is God and Jesus that created the universe, and that it's that same powerful God that we are looking to meet with in our worship. It's a great thought, isn't it? It's expressed beautifully in this track. "You Move" wants to bring more of a dance feel with a synthed intro and a strong beat, but even stronger vocal performances which reign in the music a little. The song investigates and praises God for the way that He moves in us, and seeing that we give a dedication that following Jesus will be our one desire going forward. "Eyes On Heaven" comes back to God as creator, and then the saviour and in these images of God and Jesus we see their purpose, was to know and redeem us. The bridge comprises of those familiar words that open the Lord's prayer, praising the name of Our Father in Heaven. The vocals on this final part of the bridge are absolutely stunning as the singers voice soars with praise and passion. I love the way that this album keeps bringing the focus back to attributes of God that inspire our worship. "You're Forever" does just that, listing some of those before describing the rescue of God and his unchanging nature towards people. God is "forever" and therefore we can trust Him with our lives. The title track, "Hope Rising", reminds us that we only find hope in the presence of Jesus, nothing else means anything. This song shows the exchange that we experience with Jesus, He gives us Life, Light in exchange for our shame and scars. This is another song that carries it's depth well, exploring beyond the surface of our faith and reaction, and still sounds exceptional. When you have a track called "God With Us" which goes through the prophetic passage with the different attributes of the Messiah then you might expect this to have lots of bells and Christmas effects. Thankfully this is not the way that they have decided to go, meaning that we can celebrate and praise with this song 365 days a year, rather than just the month of December! The album bounces from one familiar passage to another as they attempt a new version of "Psalm 23". This is a pretty faithful version the Psalm, just with a chorus that is taken directly from the original text. It's not necessarily a track that would be used for congregational worship, but as a performance piece it sounds great! When there is so much in the world, and in our lives, to fear we are reminded that we are not alone and that we have a "Refuge" in Jesus presence. Again this is another stunning track utilising two very well matched vocals in a duet. "You Made A Way" closes out the album and is another that just has a great combination of vocal and lyrics, the melody mainly carried by the singer. The words about our redemption just work "We remember what you've done, We are humbled by Your love, When sin said guilty You cried mercy, And left our chains undone". I listen to a lot of worship albums and some of them are light tracks that have hooks that make you remember the songs, the kind of thing that goes around in your head for days. These tracks are more in the deeper, slow-burn variety, they are full of scriptural promises and reminders of who God is and as such they may not stick in your head in quite the same way, but these are songs that you will come back to again and again not just for the light worship buzz that you can get, but because they are solid reminders of our faith and who we serve. Early on there are songs that feel like they want to break out and become dance numbers, but are held in check. As the album continues there are some beautiful moments and wonderful words that give hope and speak of life. For a first proper release of all original music this is an impressive album and I hope that they continue to produce worship that you can truly immerse yourself in!